Being authentic is one of those words that gets thrown around in this industry. It’s confusing for many of us because authenticity can seem so subjective. How do we really know if a person we just met is being authentic? And isn’t trying to cultivate authenticity the exact opposite of what it really is? Well, fear not because it’s easy to be authentic when we allow ourselves to be vulnerable. (Oh no, there's another over-used word...) I know many people view vulnerability as weakness, but it’s the exact opposite. To own who you are, as you are, is a definite strength. And showing people - yes, casting directors, directors and producers too - that you are a human being allows them to relate to you and build a stronger connection. 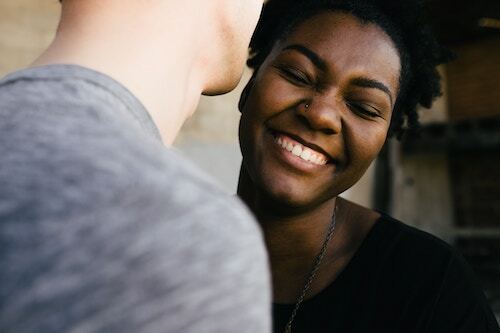 To help you navigate all these big buzz words, here are some steps that I use to be more authenticity in my relationships. It starts with self-knowledge. Now, maybe you aren’t a ‘self-help’ person, but a little self-awareness is beneficial to everyone. Knowing your ticks and owning them is the first step. Begin to observe yourself in all situations. Do you change your tone or approach depending on who you’re talking to? Are you censoring yourself? Allow yourself to recognize when you feel confident and when you feel nervous or afraid. Seek out what you have in common with people. Often, we size people up based solely on what we already know, but with enough curiosity, we can discover that we all have something in common. Be open to finding out what those things are and connecting with others from that place instead. There’s that word again. ;) Have you ever been in a conversation and your mind starts to wander off? You may think it goes unnoticed, but people can sense when you’re really listening and when you aren’t. (Busted!) It’s okay to acknowledge when these things happen; it happens. And by acknowledging your part in every relationship, it shows that you respect the people you are talking to and allows them to trust you. How do you stay authentic in the industry? What’s your biggest worry about being more vulnerable? Let me know in the comments below, or better yet, post in the Broadway Life Coach Facebook Group and let’s get a discussion going!